In anticipation of the upcoming 100 year anniversary of the Charge of the ANZAC Light Horse in Beersheba on 31 October 1917, the Israel Travel Centre is proud to present a series of tours commemorating the Charge, culminating in the ceremonies in Beersheba on 31 October 2017. The tours will be led by licensed English speaking tour guides knowledgeable in the history and culture of the region, and experienced in looking after Australians visiting Israel. We will also be working with a series of guest guide specialists in their fields relating to the rich history of ANZACs in the Holy Land. On 31st October 1917, the outcome of the First World War was anything but clear. The losses at Gallipoli, setbacks on the Western Front and failures in the First and Second Battles of Gaza were the backdrop to the Battle of Beersheba. And so it was on this day that the ANZAC Light Horse gathered behind a ridge south-east of the city and moved off at a trot. Surprise and speed were their one chance. Facing sustained enemy fire, the mounted infantry rode under the Turkish guns and cleared the trenches in close combat. Though outnumbered, the audacity of the surprise attack carried them through. The capture of Be’er Sheva was complete by nightfall, and the precious wells of the town were secured. It was the success and desperation of the Charge, by mounted infantry, not cavalry - that earned it an immortal place in Australian history. Importantly, on the same day, the British Government in London approved the Balfour Declaration setting off a chain of events that would eventually lead to the resurrection and re-establishment of the modern state of Israel in 1948, after almost 2,000 years of Jewish exile. In the cemetery at Beersheba, 1241 Commonwealth soldiers are buried. Men who sacrificed their lives in service of their country, and expressed values of the highest order: honor, courage, loyalty and duty. Arrive at Ben Gurion Airport where you will be met by our local representative and transferred to your hotel. Enjoy a relaxed walking tour telling stories of the ANZACS and the three battles that took place in and around Tel Aviv & Jaffa. The evening is free to explore options for dinner at the many great restaurants and cafes in this buzzing city. Travel north to explore the ancient port city of Caesarea built by Herod the Great. Stop for a coffee break at Jaser Al Zarka - The Blue Bridge built over the Crocodile River by the Germans and Turks in honour of Kaiser Wilhelm’s visit to the Holy Land. Visit Aaronson House at Zikron Yaacov, a former private home that is now a museum about NILI, a Jewish spy ring that supplied intelligence to British military leaders against the Ottoman Turks. Lunch in the historic quarter of the city and enjoy wine tasting this afternoon at the Carmel Winery & Culture complex and a visit to a barrel room in one of Baron Rothschild’s underground cellars. Start the day with a tour of Kibbutz Degania – the world’s first Kibbutz and hear the story of the Pioneers who came in 1910 and decided to build something different – a Kibbutz. Visit the relatively unknown Turkish Pilots Memorial in the fields of Kibbutz Haon, the Railway Station at Semakh and the Light Horse Memorial on the Sea of Galilee waterfront and hear the story of the Battle of Semakh. Experience a jeep tour of the Golan Heights with a view of the Syrian Israeli border and an explanation of the Sykes Picot agreement that still holds in the area today! Enjoy a tour of the brewery making beer from the fresh waters at the source of the Jordan River. Visit the magnificent Basilica of the Annunciation in Nazareth. Stop by the German WWI Military Cemetery with wooden crosses made from the propellers of crashed airplanes. Enjoy a visit to Nazareth village (Option for Biblical lunch). Explore the Crusader Castle of Belvoir where we hear the stories of the Crusaders and Saladin’s inability to take the Castle by force. Travel along the fertile Jordan Valley stopping by the Bridge built by General Allenby. Visit the site of the original Baptism on the Jordan River at Qaser El Yehud. 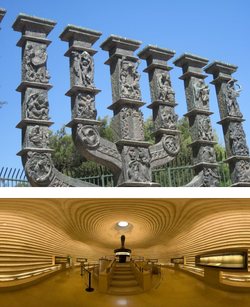 Drive by the Knesset, Israel’s Parliament and visit the Shrine of the Book to see the original Dead Sea Scrolls. See the model of Jerusalem as it was during the time of King Herod. Experience a moving visit to Yad Vashem Holocaust Memorial. And later stop at the Trappist Monastery at Latrun. Tour the Latrun Tank Museum, the biggest of its kind in the world. Visit the Jerusalem Commonwealth Cemetery on French Hill and named after Allenby’s good friend General French who was killed in the Battle for Jerusalem. Continue on for a rooftops tour of the Old City. 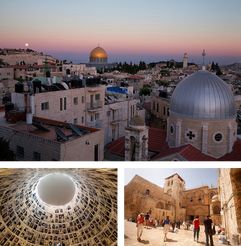 Walk the Via Dolorosa and stop at the Church of the Holy Sepulchre. Place a note at the Western Wall and visit the Jewish Quarter. Stroll the oriental markets of the Arab Quarter. Walk along the walls from Jaffa Gate to Mt. Zion. Visit the Dormition Abbey and the Room of the Last Supper. Enjoy a special guided tour of the fascinating Christ Church Heritage Centre at Jaffa Gate - the oldest Anglican Church in the Middle East. ﻿Drive to the Dead Sea, the lowest place on earth. Enjoy a nature walk at Ein Gedi, and hike to the water falls. Visit the mountain fortress of Masada built by Herod the Great and the last stronghold of the Jewish rebellion against the Romans. Enjoy a float this afternoon in the salty waters of the Dead Sea, and the mud which is well known for its curative effects. Guest Guide: Avi Navon; former Chairman of the WWI Historical Society and expert on the history of ANZACs in the Holy Land. Avi will host tour participants over the next two important days, focussing on the events surrounding the Charge of the Light Horse at Beersheba. Today we closely follow the path of the ANZAC’s leading up to the attack on Beersheba. Travel along the Besor River. Cross the Hanging Bridge to the Besor Dam built by the ANZACs. Stop by the restored Turkish “Patish” Ruins and hear the story of Colonel Richard Meinertzhagen’s “Haversack Ruse”, where he deliberately left false clues of a major attack coming from Gaza instead of Beersheba. Continue to the Hatzerim Air Force Museum, where you will find a huge collection of airplanes and helicopters, all previously standard equipment of the Israel Air Force. Hear the story of this brave fighting force. 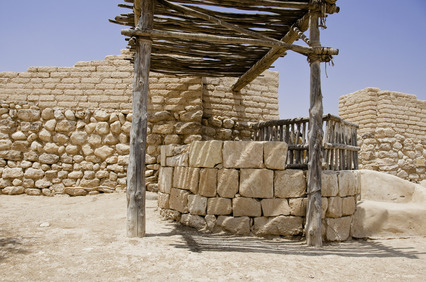 Finish the day at Abraham’s Well and Visitors’ Center - situated on the banks of the biblical Beer-Sheva River, at the gates of the Old City. Discover the innovative heritage site dedicated to showcasing the life of the Patriarch Abraham. Enjoy a special day in Beersheba commemorating the centenary of the achievements of the Australian soldiers in World War I. The first event of the day is scheduled to start at 8:00am with an exciting parade through the streets of the city. All the local children will be out waving Aussie and Israeli flags and cheering on our Aussie horseman riding through the main streets of the city. At 9:00am the most important event of the day will commence - the Ceremony at the Commonwealth Cemetery is expected to be packed with people who come to give their respects to the fallen. Expect speeches, prayers and a solemn ceremony. Huge screens will be set up showing the event live so all visitors will be able to participate. Immediately following on from the commemoration service will be the Opening Ceremony of the brand new ANZAC Museum adjacent to the cemetery. At approximately midday everyone will be invited to witness the cutting of the ribbon at the new park built around a reconstructed Turkish well. Following on from this ceremony everyone will be invited to witness the exciting recreation of the charge by the Aussie horseman 100 years ago. The Australian Light Horse Association will be leading the charge in original WWI uniform and pageantry. Please note that these times are subject to change (depending particularly on the attendance as such dignitaries as the Prime Minister of Israel and the Australian Governor General. Transfer to Tel Aviv Airport for departure on your onward flight. 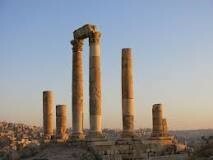 Our first stop is Jerash, the ancient Roman city of the Decapolis. 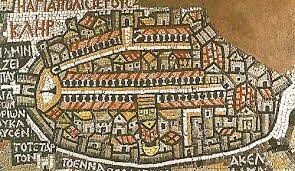 The city is one of the best examples of the grand, formal provincial Roman urbanism found throughout the Middle East. It contains paved and colonnaded streets, soaring hilltop temples, a handsome theatre, spacious public squares and plazas, baths, fountains and city walls pierced by towers & gates. Enjoy a spectacular full day tour exploring the rose-red city of Petra. Enjoy a short horse ride, and then travel on foot through the awesome ‘SIQ’ valley. Visit the Treasury, and explore hundreds of buildings, tombs, temples, and a 3,000-seat theatre from the first-century AD. See the Well of Lawrence and his Statue, and the famous Seven Pillars of Wisdom. Hear about his conquest of Aqaba coming from the East as the Turkish guns faced seaward to the West.